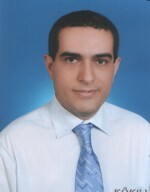 I’m working as an associate professor in Department of Toxicology, Ankara University Faculty of Pharmacy. I’m working as a toxicologist in my department for nearly 20 years. I’m interested in genetic, occupational toxicology and immunotoxicology. My studies are mainly focused on cytokines and related gene polymorphisms as indicators of individual susceptibility for assessment of genotoxicity. Additionally, DNA damage and repair, immunotoxicology and occupational exposure are the other topics. I’ve got several international and national publications in reputable scientific journals and also I’ve got many congress and symposiums posters. I worked in projects supported by my university or other scientific organizations as investigator or researcher. 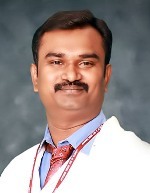 I, Dr. M.Rajajeyakumar, MBBS, MD (Physiology), MSc Yoga, CCEBDM (PHFI), (PhD), has completed his MD Physiology,(2006-2009) at JIPMER. I worked as research assistant. I published more than 71 research papers and serving as an editor and expert reviewer of many national and international journals. I have been invited for honorable guest Speaker in Fitness-2015. I was selected as Speaker and chairperson for 12th,13th& 14 th Asia Pacific Medical Education Conference-3rd, 4 th & 5 th International Conference on Faculty Development in the Health Professions, Yong Loo Lin School of Medicine, NUS, Singapore. I presented a scientificresearch paper in World Diabetes Congress. I have been honored and received 10 awards, nationally and internationally. I have been appointed as scientific referee for extramural proposal evaluation. I have been designated as one of the national medical expert faculty in the DOCTORS NEET ACADEMY-DNA. I have been appointed from India, as international OCM for more than 29 various International conferences all over the globe. I have been actively involved in medical, biomedical, and yoga research. My special research experience is in autonomic, cognitive, cardio-respiratory, neurophysiology and medical education. I had trained with basic Physiological procedures including human and animal experimental physiology; pulmonary function test (PFT), autonomic function test (AFT), HRV (heart rate variability), EMG (electromyography), & NCS (nerve conduction study). Ajay Vikram Singh received a Master of Science degree (MSc) in Biotechnology from Pune University, India, in 2005 and a Ph.D. in Medical Nanotechnology from the European School of Molecular Medicine (SEMM) in Milan, Italy in March 2012. He is currently working as a postdoctoral scientist at the Department of Physical Intelligence at the Max Planck Institute for Intelligent Systems (MPI-IS) in Stuttgart, Germany. His research interests include understanding the bio-physicochemical interactions at the nano-bio interface which regulate protein adsorption and are instrumental in the development of drug and gene delivery vectors, scaffolds for tissue engineering, smart prosthetics, and lab-on-a-chip devices. Within this realm, the idea is to pattern and apply micro/nano-hybrid features as surface topography and chemical cues to device protein as a molecular switch to on-off stem cell differentiations. Further, development of bioinspired micro-nanorobots for advanced drug delivery are other areas of research interests. B. Rappaport School of medicine, Technion-Israel Institute of technology, Haifa, Israel.After receiving his MD from the Sakler school of medicine, Tel-Aviv University (1976), Professor Lerner specialized in Pediatrics ( 1982 ), Pediatric Gastroenterology and Nutrition ( 1984 ) and Adult Gastroenterology ( 1987). Took several senior positions as head of Department of pediatrics (1995-2005) and head of Pediatric Gastroenterology and Nutrition unit, at the Carmel Medical Center, Haifa, Israel. Finished his Medical Management degree M.H.A, at Ben- Gurion University, Beer-Sheba, Israel (1999), spent research sabbaticals in Hahnemann University, Philadelphia, PA, USA (1991), State University of North Carolina, Chapel Hill, N.C, U.S.A (2005) and currently, involved In scientific projects in Aesku.Kipp Institute, Wendelsheim, Germany.(2014-17). Horizontal gene transfer in human gut. His basic researches have been concerned with antigens induced early during the replication cycle of human herpesviruses. Another study has involved the identification, isolation and characterization of specific virus-induced tumour antigens, which were the “finger-prints” left behind in human cancer. Achievements include patents in field; discovery of Respiratory Syncytial Virus in infant deaths in Naples and of tumor liberated protein as a tumor associated antigen, 55 kilodalton protein overexpressed in lung tumors and other epithelial adenocarcinomas. 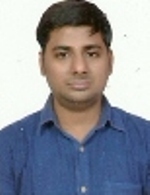 I am Dr. Alok Raghav Ph.D Endocrinology, worked on “Studies on glycated albumin and its clinical relevance in diabetes and its associated complications” under Prof. Jamal Ahmad.I submitted the entry for the award in Gandhian Young Innovation Technological Award and also in Knimbus Young Innovator award. I was among the top 20 entries throughout the country for my idea and got the appreciation certificate also. I have been felicitated with the young scientist award at Integral University, Lucknow during an International Conference for the best paper presentation in oral category. I have also received prestigious Elsevier travel award for attending the international conference in Miami, USA. Aligarh Muslim University, also given me travel award for attending the International conference at Budapest, Hungary. The prestigious and rarest award from Research Society for Study of Diabetes in India also given me a cash prize travel award for presenting research paper at RSSDI Hyderabad. I have published 34 research papers in peer reviewed journals. Dr Chan Kam Tim Michaelis a practicing private Dermatologist in Hong Kong. 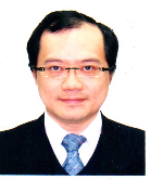 He received his Fellowship from Hong Kong Academy of Medicine (FHKAM)(Medicine) as a registered Dermatologist since 1998. He received his post- doctoral training in University of California, Los Angeles (UCLA) in 1997. 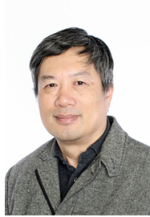 He is now the Vice President of the Association of Integrative Aesthetic Medicine (AIAM) in Hong Kong.He has been the Editor of Hong Kong Journal of Dermatology and Venereology from 2002 to 2007. 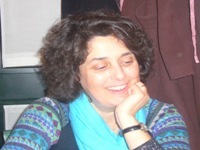 Honorary Clinical Assistant Professor of the Faculty of Medicine in The University of Hong Kong From July 2007 to June 2009. He also fulfilled his part time lectureship in the Baptist University of Hong Kong in teaching a Master Course on Public Health and Common Goods for the Public since 2013. Currently, he is the Adjunct Professor of the Master Course of Common Goods and Public Health in the Baptist University of Hong Kong since 2018. I am currently a USA citizen, and director of new drug discovery center/research institute of biological medicine at Yiling Pharmaceutical, Shijiazhuang/Beijing, China. I had a MD, PhD (molecular pathology) degree from West China University of Medical Sciences. I did my postdoctoral trainings (cell biology and immunology) at University of Oxford, UK and Harvard Medical School, USA. I was working as a research faculty at Vanderbilt University Medical School and Indiana University Simon Cancer Center for 8 years. Besides, I was also a new drug discovery scientist in oncology at Eli Lilly and Company (USA) for 6 years. I have so far published 40 biomedical science-based articles in peer-reviewed journals. My major scientific interest is treatment-associated cancer/autoimmunity research. 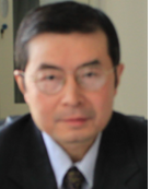 Yongxin Zhang, CEO and president of Zyxell Inc., graduated from Beijing Medical University (Beijing, China) for his MD in 1983 and Ph.D. in 1989, and completed his postdoctoral training in Baylor College of Medicine (Houston, USA) in 2004 for molecular virology and immunology. In these periods, his studies include transplantation immunology, pathogeneses of viral hepatitis, HIV vaccine and immunoassays. He worked as a physician in china for more than 10 years before he came to US and he worked for Methrogen Inc., Regenetech Inc, and several other companies as a senior scientist or director of research for over 10 years after he came to US. His research areas include Immunology, Microbiology, cell transplantation, stem cell technology and bioreactor development. 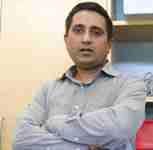 His very recent studies have been more focused on cancer immunology. 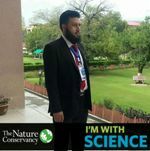 Dr. Saif Ullah Afridi has recently completed his PhD in Molecular Medicine with Immunology specialization from one of the renowned Institutes of Pakistan,(PCMD) (ICCBS) University of Karachi, Pakistan. Currently, he is working as Assistant Professor at (CADR), COMSATS Institute of Information Technology (CIIT) Abbottabad, Abbottabad-22060, Pakistan.He has expertise in immune system regulation and vaccine development for their therapeutic applications. Has newly identified MLEs potentially accelerates antigen specific immune response by targeting MHC class II molecules. 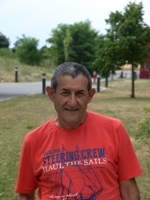 He is interested to study the key features playing an active role in the immune system regulation by targeting Regulatory T cells to overcome autoimmunity during nemours immune pathological conditions.He is also interested to investigate the role of antigen specific T cell activation in specific immune response. On the other side, he is focusing on nanoparticles based immune therapy to cure numerous immune pathological conditions which will create a new window for improving health care. He has built these skills after years of experience in research, evaluation and teaching both in PhD and post PhD educational careers. 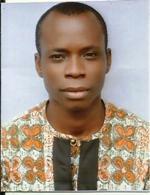 Obeagu, Emmanuel Ifeanyi born in Amede, Eha- Amufu, Enugu State,His Ph.D is from Nigeria in Haematology,and received his M.Sc in Haematology in Imo State University, Owerri and his Bachelor of Medical Laboratory Science is from Ebonyi State University, Nigeria.He attended and obtained NCE, 2003, and obtained FSLC. He received 2 international research awards in 2017 as World Academic Champion in Medicine and World Academic Champion in Diagnostics and 2 international Fellows and included among world 500 most influential public health experts on earth 2017 and included among Global Infectious Diseases Control Experts. He received 27 International awards. He is a research oriented person. He has published more than 300 research and review papers in reputable international journals and editor and reviewer to more than 70 International Journals. 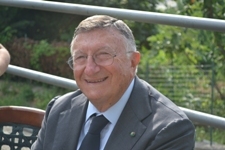 He has reviewed more than 86 papers as a reviewer for many Journals. He is working in Diagnostic Laboratory Unit, Department of University Health Services, Michael Okpara University of Agriculture, Umudike, Abia State, Nigeria. He has research interest in Heamtology and Blood Transfusion, Immunology, and Public Health. He has been enlightening the world with his scientific contributions. Researcher working in a field of Neuroscience (experimental), autoimmunity and human behavior (quality of life and fatigue). Working with the people suffering from Multiple Sclerosis and in the future on Rheumatoid arthritis and vitamin D.